In case it wasn’t obvious enough that Electric Wizard have a thing for Black Sabbath (y’know, with the sound and the fact that their name is literally derived from a combination of two Sabbath song titles), there’s now this album, fronted by their own corruption of 1973’s Sabbath Bloody Sabbath to fully hammer that point home. It’s not like it’s not done them well in the past though; 2000’s Dopethrone is often heralded as a doom-metal classic, something that Electric Wizard have admittedly been riding ever since, considering how each subsequent album being compared to that one benchmark isn’t surprising in the slightest. It’s not as if Wizard Bloody Wizard is a different case either, as this is pretty much Electric Wizard pulling out the same tricks they have been for years now. To really split hairs, the more overtly doom elements feel slightly lessened here in favour of tones of trad-metal, stoner-rock and Sabbath-grade blues, but that rarely makes a difference in the long run; the pace is still deliberate and funereal, and while 43 minutes might be one of the shorter runtimes they’ve put their name to, the fact that’s split over just six songs fully puts a pin in the direction that this band are keeping to. That’s not necessarily a bad thing though, and apart from the occasional moment that feels like padding rather than something that actively contributes to the overall body of work (see the glorified interlude of The Reaper for the best example of that), Wizard Bloody Wizard is enough of an enveloping listen despite its familiarity. It might be slightly perfunctory in terms of what Electric Wizard have achieved in the past and how this sits in comparison, but for another monolithic slab of stoned, demonic rumblings, this fits the bill just fine. Besides, it’s not as if any of this is unexpected. A track like See You In Hell bears a fundamental heft in Liz Buckingham’s teeth-rattling guitar tone and Jus Oborn’s smoked-out rasp, with both wading through the gloom that Electric Wizard are more than happy to take residence in. That’s basically true of all of this album, operating at what is essentially a crawl to get the most from its hulking masses of riffage. The most prominent example is the eleven-plus-minute closer Mourning Of The Magicians with its sledgehammer bass work amplified by swirls of esoteric guitars, but with the circular riffs and sinister hiss of Necromania and the haunted grind of Wicked Caresses, there is some variety here that mightn’t be immediately obvious, but makes it more difficult to tune out than with some albums of this ilk. Even if that variety isn’t the greatest in terms of breadth, there’s the palpable sense of dread that is so imperative with Electric Wizard that’s become so difficult to leave out at this point; even for as comparatively throwaway as The Reaper is, just clocking in at over three minutes and the only track that falls short of six, the hazy, ’60s-inspired organs ensure that the immersion doesn’t fall away entirely. That could also be because Electric Wizard have been a band for well over two decades at this point, and their overall aims and formulae haven’t exactly changed since. It’s enough to make Wizard Bloody Wizard feel more like a continuation than a new step on its own, but in this case, that actually works. For a band like this that’s more reliant on thick, humid atmosphere than lyrical direction or instrumental progression, Wizard Bloody Wizard ticks all the right boxes in terms of how it’s presented and what it achieves. Even though this likely won’t be the definitive Electric Wizard in anyone’s eyes, it’s worth a try for more of the same. 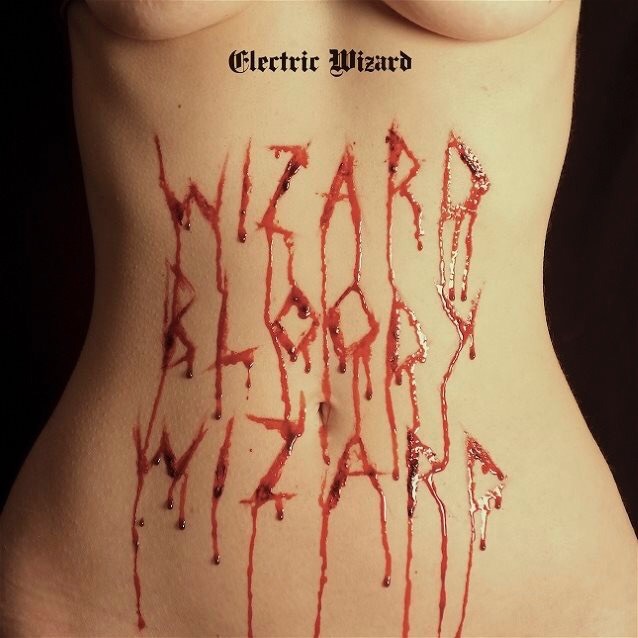 ‘Wizard Bloody Wizard’ by Electric Wizard is out now on Spinefarm Records.